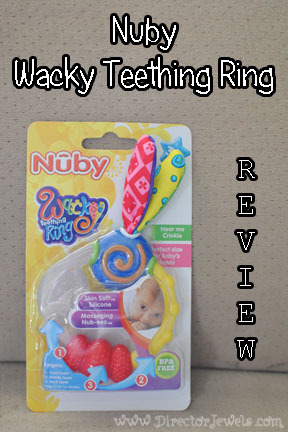 Disclosure: Nuby sent us the Wacky Teething Ring to review. All opinions expressed below are my own. 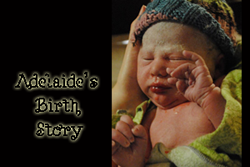 Little Miss Addie has six teeth and I am pretty sure she is working on at least one more at the moment. 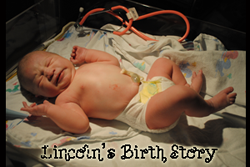 If you have ever cared for a teething baby, you know what life is like around here right now: literally everything goes in this child's mouth! Especially now that she is crawling, I'm having a tough time keeping little pieces of food and lint out of her mouth. I do my best to keep lots of fun toys in her path so that she will be less likely to pick up the random crumbs she finds on the floor! 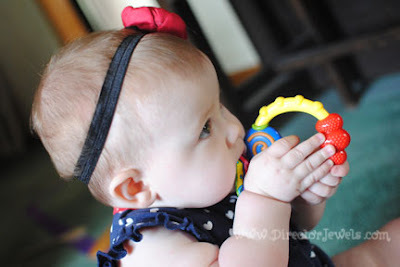 She's still a big fan of her Bug-a-Loop Teether, but we have a new favorite in the house: the Nuby Wacky Teething Ring! 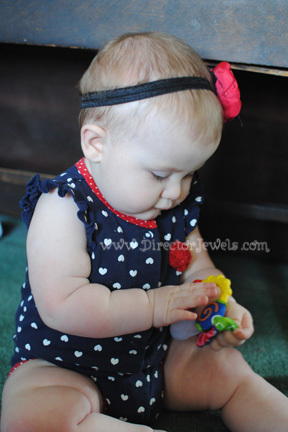 This particular teething ring is aimed at ages 3 months and up, but at 9 months old, Addie still loves it! It has a unique combination of raised, offset surfaces and textures to feel - and is the perfect size for chubby little hands to hold. She especially enjoys the crinkly fabric pieces - she's intrigued by the sound it makes when she touches it or chew on it. We've kept our Nuby Tickle Toes Dog in the car to entertain Addie on car trips for several months, and I think this Wacky Teething Ring might be another good option for traveling. 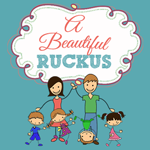 It fits easily in a diaper bag pocket, so it's a great choice for on-the-go babies. 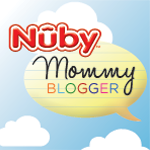 Plus, since it's from Nuby, I know that it is BPA-free and totally safe for her to gnaw on. That's a relief! 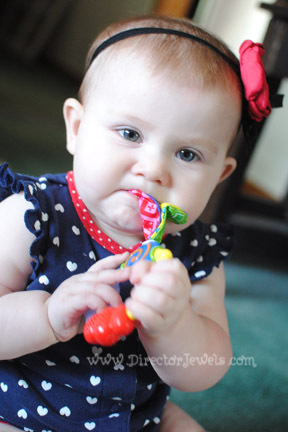 The Nuby Wacky Teething Ring is a great deal at just $3.99 and can be found at several online and local retailers, including Amazon, Diapers.com, Baby Depot at Burlington, Bealls, buybuyBaby, and Walmart. Saida would LOVE this! Great colors and textures. BTW, your pics are gorgeous. Love it! I need to get my niece one. 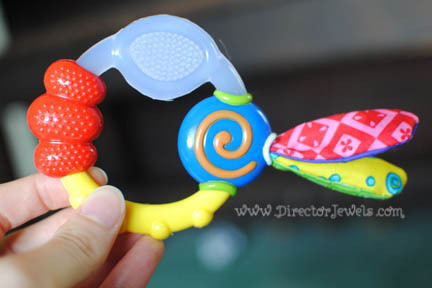 My son would have loved this teether! I will definitely be buying for baby #2. P.S. Your daughter is SO cute!! !